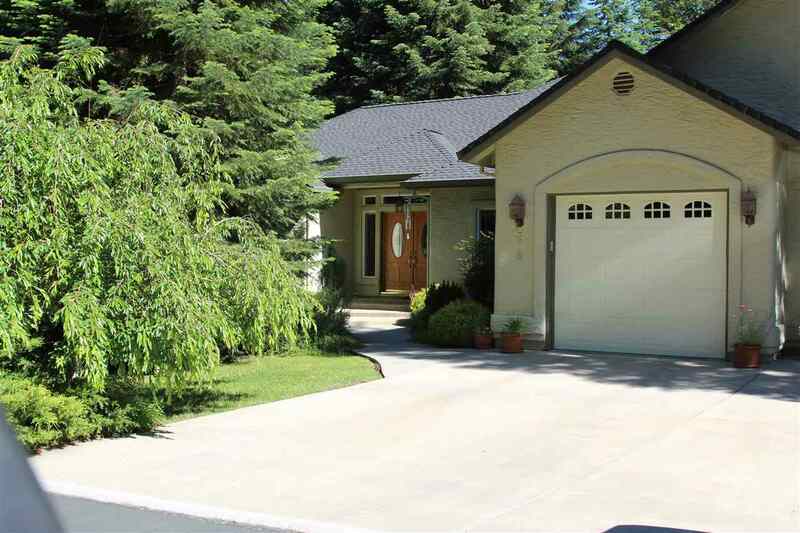 Zen feeling permeates this peaceful home, minutes from town. Surrounded by plants and trees, the home is almost hidden in the Spring and summer months. The koi pond out back brings the sound of bubbling water into the house. The interior is wood, - oak floors, maple cabinetry in the kitchen. The 4th bedroom also serves as an office. Jacuzzi tub, Generator panel for power outages, a large 3 car garage, with room for a workshop, 2 zone heating and air, whole house fan, Boch heating system, on demand hot water and more. Located in a great neighborhood, hidden off the main street...and yet, in the middle of town.